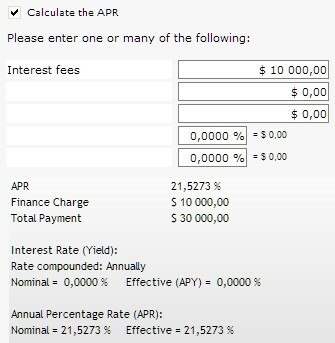 “Add-on interest” is a calculation that Margill Loan Manager (MLM) handles easily to compute the true interest rate (APR). This will give us a total add-on of $10,000 in interest: $20,000/100 X $12.50 X 4. This $10,000 is added in the APR window. The total loan is thus $30,000 to be repaid in 48 equal payments at “0.00%” interest. 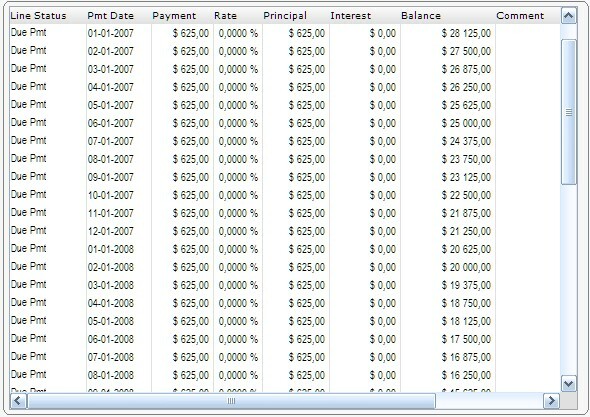 The compounding period is not important since for reimbursement, the interest rate is 0.00%. 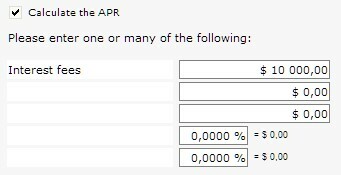 To obtain the APR, click on “APR.” The rate calculated is 21.5273% (thus the APR).